JUPITER, Fla.—Keeping the negative results of last year’s defensive efforts in mind, manger Mike Matheny recruited former Cardinal great Ozzie Smith to improve to his infield. Instead of running them through drills or showing them tricks for snagging ground balls, “The Wizard of Oz” decided to discuss the mental aspects of baseball, focusing on confidence. QUEENS, Ny.–Lady Gaga is scheduled to perform at Citi Field this summer as part of her latest world tour. The captivating singer who performed in front of millions on Sunday’s Super Bowl halftime show hopes to play at Citi Field Aug. 28, officials said. In support of her fifth studio album, “Joanne,” which debuted at #1 in Billboard’s Top 200 when it was released in 2016, Gaga will begin her tour on August 1 in Vancouver Canada. General tickets for the show go on sale Feb. 13 at 10 a.m. on Ticketmaster. Pre-sale single game Mets’ tickets are on sale now! On Gaga’s World tour, she hopes to make stops at other baseball stadiums including Wrigley Field — where she’ll make history as the ballpark’s first female headliner since they started hosting concerts in 2005. CLEARWATER, Fla. – Philadelphia Phillies catcher Cameron Rupp added a surprising new element to his training routine. Rupp, 28, started practicing yoga to help improve his flexibility and maintain his strength throughout the season. Rupp said his initial outlook on starting yoga was, “let’s just try it and see what happens.” He admitted that it was difficult, but noted that it was also fun and he noticed results. It is no secret that Catchers have one of the most strenuous positions in the game. Rupp caught 911.1 innings in 2016, more than any other season in his career. If last season is any gauge for the rigor of the 2017 season, it is critical for Rupp to keep his body in peak physical condition. 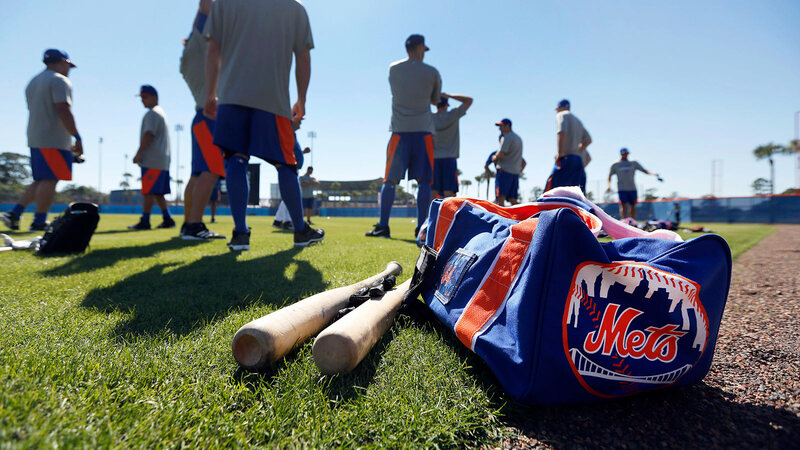 PORT ST. LUCIE, Fla–Many returning Mets players are confident they can build on their appearance from last year to become the World Series-caliber team they were in 2015. Mets pitcher Addison Reed said to Marc Carig of Newsday, if most of the team would not have gotten hurt last year they would have played in the World Series. He also said that if they stay healthy, like they hope to, they’ll go far. Sandy Alderson , general manager, told Steve Serb of the New York Post that Matt Harvey appears to be in “excellent shape” and that he is “on the right track” heading into spring training. Pitchers and catchers reported to spring training Sunday, earlier than usual, due to the upcoming World Baseball Classic. Feb. 17 is the last day why which position players must report. NEW YORK–The Mets are projected to win 86 games this season (one fewer than last season) with 15-2 odd to win the National League pennant. The Washington Nationals (The NL East rival) are projected to win 85 games and have 5-1 odds of winning the pennant. Science isn’t exact when it comes to analytics in sports. Numbers can’t take into account things like injuries, trades, and intangibles. Ultimately, numbers can’t predict the future. The Mets have one of the deepest rosters in baseball but it all hinges on health–particularly the health of the starting rotation. Who knows if infielder David Wright’s back will hold up or if pitcher Matt Harvey will return to the form he had in 2013? The Mets weren’t especially aggressive in the offseason, therefore many will be nearly rehabbed and ready for when spring training begins. Jim Bowden of ESPN gave the Mets a “B” for their offseason efforts. Are the Mets really going to win 86 games? We’ll find out in October! Christian is a sophomore at St. Bonaventure University. He is a member of the men’s cross country and track team and will be covering the San Diego Padres and Chicago White Sox.